Do you have a draft & need a coach, a tutor or just another pair of eyes? 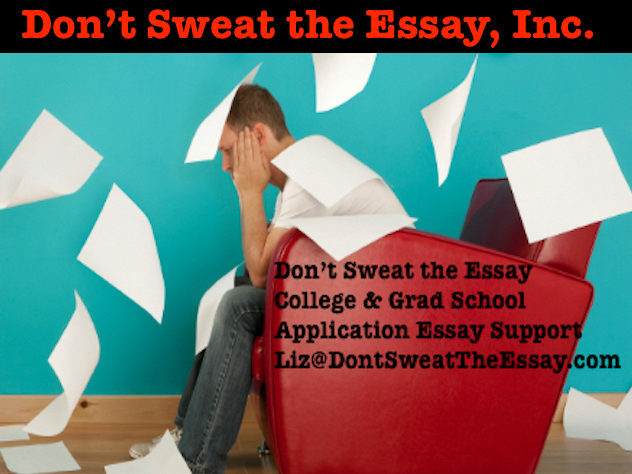 Whatever your admissions application essay questions & concerns, you’ve come to the right place. Seriously. Regular Huff Po College Page Blogger, bestselling author, journalist, public lecturer, one-on-one coach – tutor – editor – mentor. Services with flexible pricing and a sliding scale. Acceptances to: Harvard, Yale, Princeton, Columbia, Brown, University of Chicago, MIT, University of Pennsylvania, Cornell, Wesleyan, Northwestern, Tufts, Barnard, Bryn Mawr, Vassar, Smith, Carleton, Kenyon, Carnegie Mellon, UC Berkeley, NYU, NYU-Stern, NYU Law School, University of Virginia, UC Berkeley, UCLA, University of Michigan, UNC, Boston College, Washington University Medical School, Colgate, Clark, Connecticut College, Duke, UNC Chapel Hill, McGill, Skidmore, Art Institute of Chicago, Franklin and Marshall, St. Olaf, George Washington, University of Toronto, Boston University, University of Vermont, SUNY schools, London School of Economics, St. Andrews, Kings College London, Universities of Edinburgh, Exeter, and Warwick.